My Special Aflac Duck Comes to Arkansas Children’s! 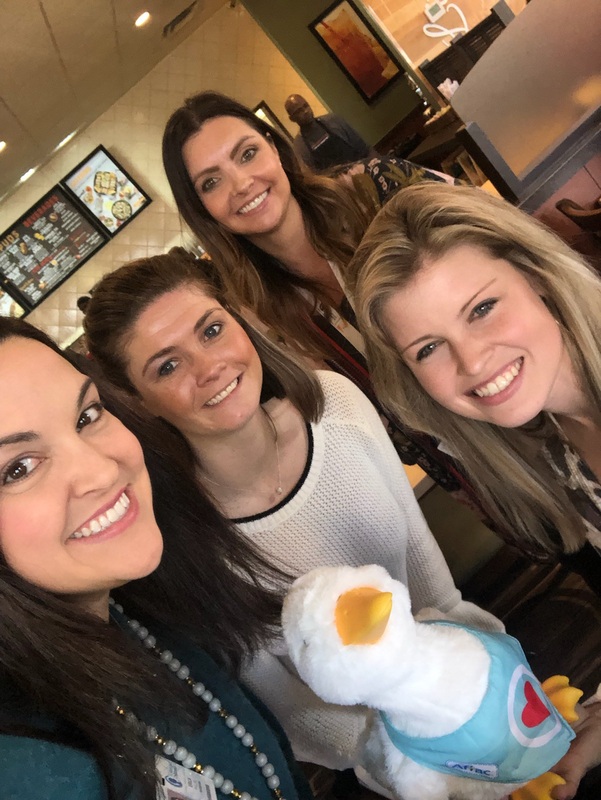 A few Arkansas Children’s team members met with our local Aflac representative, Melanie Reynolds, and she gave a demonstration on the My Special Aflac Duck. These interactive robotic ducks are available complimentary to any of our patients that are undergoing cancer treatment. The duck provides companionship and acts as a toy, robot and medical device. The My Aflac Duck is a unique way to helps kids cope with the difficulties of undergoing treatment and elevates the patient experience. It brings joy to our patients and provides each child a sense of control by allowing them to be the caretaker of the duck while being treated. The duck communicates based on the child’s mood, and dances, nuzzles and cuddles accommodating the emotional needs of the child in real time. Thanks to Aflac, our child life team is able to request a My Aflac Duck for each child that comes through our doors for cancer treatment at Arkansas Children’s Hospital and Arkansas Children’s Northwest. We have already ordered over 100 ducks and Aflac is helping us make a difficult experience a little easier with a cute friend that is providing emotional companionship every step of the way. Thank you Aflac for all you do to help drive our mission to champion children by making them better today and healthier tomorrow. You are bringing so much joy to so many kids throughout the state of Arkansas and beyond. We are grateful that Aflac is a partner of Children’s Miracle Network Hospitals. Next post: Round Up Your Purchase at Casey’s General Stores in February!